NEW YORK, NY – FOX Sports today officially announces that former NCAA football coaches Mark Helfrich and Les Miles and veteran broadcaster and former NCAA and NFL player Danny Kanell have joined the network for coverage of its best-ever college football schedule this fall. Today’s announcement was made by John Entz, President of Production & Executive Producer, FOX Sports. Helfrich calls a full slate of games this season alongside play-by-play announcer Justin Kutcher and fellow analyst Petros Papadakis. They open the season on Saturday, Sept. 2, for Maryland at Texas at 12:00 PM ET on FS1. Helfrich begins his broadcasting career with FOX Sports following his successful tenure with Oregon, where he served as head coach of the Ducks for four seasons after spending the previous four years as the program’s offensive coordinator. As head coach, Helfrich led Oregon to an appearance in the inaugural College Football Playoff National Championship Game and guided quarterback Marcus Mariota to a Heisman Trophy following the 2014 season. Miles also tackles the sport from a different point of view, calling select FOX Sports college football games this season. He makes his debut during Week 3 of the season, joining play-by-play announcer Tim Brando, fellow analyst Spencer Tillman and sideline reporter Holly Sonders from Lincoln., Neb., for Northern Illinois at Nebraska on Saturday, Sept. 16, at 12:00 PM ET on FS1. Miles moves to television following a successful coaching career, most recently at LSU, which culminated in a Tigers’ Citrus Bowl victory last season. An offensive lineman with Michigan under legendary head coach Bo Schembechler, Miles began his coaching career as an assistant with the Wolverines, and after several years in the NCAA and NFL, received his first head coaching post with Oklahoma State. He spent four seasons with the Cowboys before moving on to LSU where he led the Tigers for more than a decade, winning the 2007 BCS National Championship. A broadcaster with ESPN for the last eight years, Kanell calls select college football games for FOX Sports in 2017, opening the season with play-by-play announcer Eric Collins and fellow analyst AJ Hawk in Waco, Texas, for Liberty at Baylor on Saturday, Sept., 2, at 7:00 PM ET on FS2. Kanell is a former collegiate and professional football and baseball player, having quarterbacked Florida State for four years while playing two seasons with the Seminoles’ baseball team. Kanell was selected by the New York Giants in the 1996 NFL Draft and also played with the Atlanta Falcons and Denver Broncos. Following his playing career, Kanell joined ESPN in 2010 as a college football game and studio analyst and contributed to the network’s coverage, including on his weekday radio show “Rusillo & Kanell,” for nearly eight years. Helfrich, Miles and Kanell join FOX Sports’ previously announced lineup of Gus Johnson, Joel Klatt and Jenny Taft, who open the season with Washington at Rutgers on Friday (8:00 PM ET on FS1) before flying cross-country for Texas A&M at UCLA on Sunday (7:30 PM ET on FOX); Joe Davis, Brady Quinn and Bruce Feldman, who call Tulsa at #10 Oklahoma State on Thursday (7:30 PM ET on FS1) and UTEP at Oklahoma on Saturday (3:30 PM ET on FOX); and Brando, Tillman and Sonders, who open the season with Purdue vs. Louisville Saturday (7:30 PM ET on FOX). Host Rob Stone is in studio for pregame, halftime and postgame coverage on FOX and FS1, joined by analysts Matt Leinart, Robert Smith and Dave Wannstedt with rules experts Mike Pereira and Dean Blandino. In 2017, FOX Sports televises top games from the Big 12, Big Ten and Pac-12 conferences. FOX Sports is home to some of the most anticipated matchups of the season, including Ohio State at Michigan, Oklahoma State at Oklahoma in the annual Bedlam rivalry, and Texas at USC in the first rematch of the 2006 BCS National Championship Game. 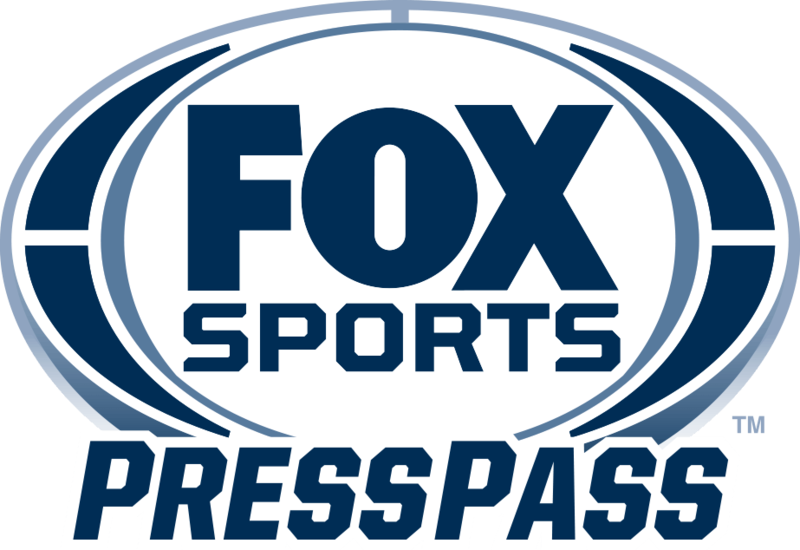 FOX Sports is also home to the Big Ten and Big 12 championship games and the Foster Farms and San Diego County Credit Union bowl games.